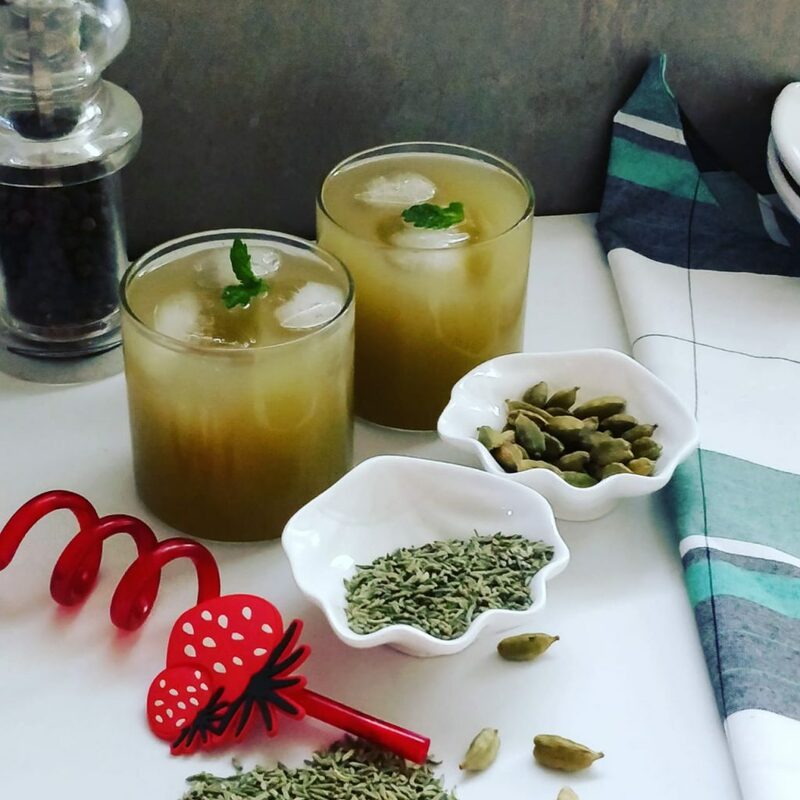 Saunf Ka Sharbat | Fennel Seeds Mocktail is a refreshing drink for all. 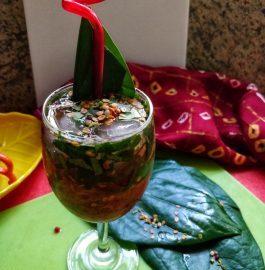 Saunf Ka Sharbat | Fennel Seeds Mocktail or Variyali Sharbat is a healthy and delicious summer drink. This has cooling properties as this recipe uses fennel seed/saunf, cardamom. As we know fennel seeds have many medicinal benefits. 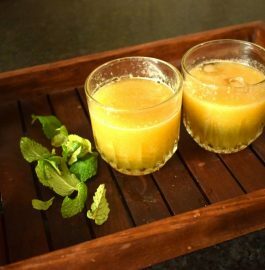 This aromatic and flavourful drink is very good for digestion and it is an immunity booster too. 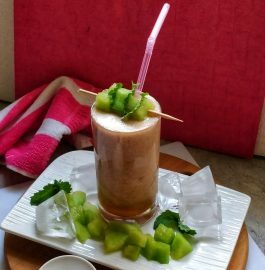 This summer drink is very tasty with many health benefits. This drink also helps the body stay hydrated in summer. 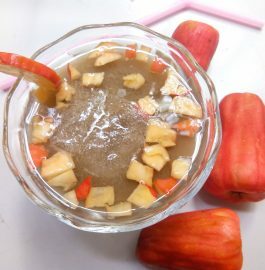 You can drink it before going out, this will prevent the body from dehydration. This is very easy to prepare with readily available ingredients. 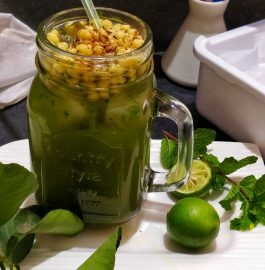 So, try to make this drink at home and enjoy with your family. 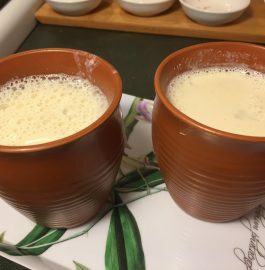 You can make the pre-mix of the sharbat and store it in the airtight container. Keep the container in the refrigerator for 3 to 4 months. The ratio of Saunf/fennel seeds and sugar should be 1:4. 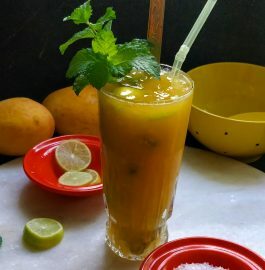 You can adjust the quantity of sharbat mix as per your taste. Also, you can add the pre-mix in the milk. 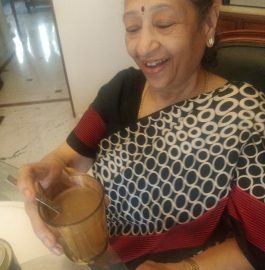 It will taste similar to Thandai. Take a grinder jar, add fennel seeds, poppy seeds, black pepper corns, cardamom. Keep some sugar aside and add to the jar. Grind all the ingredients together to make fine powder. Sieve the powder using a sieve. Grind the residue with sugar to make it fine powder. Repeat this process until you get a fine mixture. Keep the mixture in an airtight container. 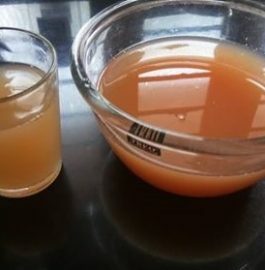 Take a bowl, add 2 teaspoon of the sharbat pre mix. Add chilled water, Mix well. Sieve it with help of tea strainer. 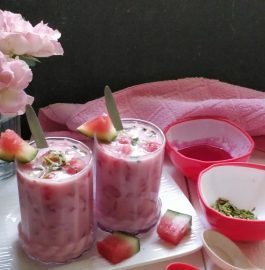 Pour the sharbat in a serving glass. Add ice cubes. 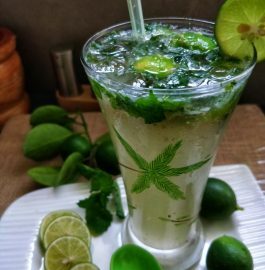 Garnish it with mint leaves. 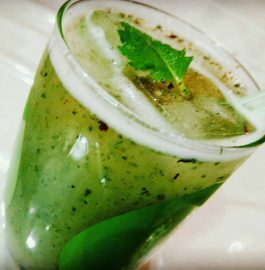 Refreshing 'Saunf Ka Sharbat | Fennel Seeds Mocktail' is ready to be served.